Accommodation ONE RESORT, 3 TYPES OF ACCOMMODATION, CHOOSE YOURS. 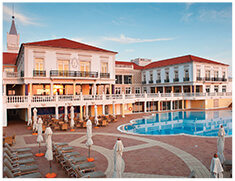 The Praia D’El Rey Marriott Golf & Beach Resort is a fully renovated 5 star luxury resort hotel. 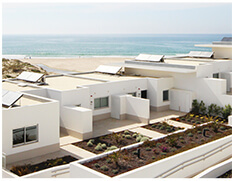 All the rooms have private terraces or balconies offering unique views of either the Atlantic Ocean or the beautiful 18 holes championship golf course and gardens. 5 star apartments with contemporary architecture and exceptional location with direct access to the beach, all overlooking the ocean and the golf course. 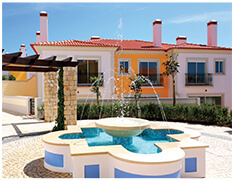 4 star apartments that hold the culture and authenticity of the blue Portuguese tiles, with beautiful gardens and next to the golf course or next to the beach.